Paul Greive of Pirmal Pastures makes a visit with Aaron Zober, The Appropriate Omnivore. is a poultry farm in Temecula, CA that’s a newcomer to the beyond organic farming scene. Paul explains how he got into agriculture and what it means to be raising chicken sustainably and along the guidelines of Price, paleo, and primal community. 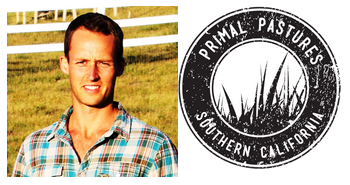 Primal Pastures will also help people set up backyard chickens and Paul lets you know how you can have one at your house today. Additionally, Paul speaks about the future of Primal Pastures and how they’re looking at farming other animals as well.